Have your own private day cruise for the day ! We have some great options available for private charters and can provide you with a personalised quote for the day. Our day rate starts from FJD$3,500 – feel free to contact us so we can provide a quote for you today. 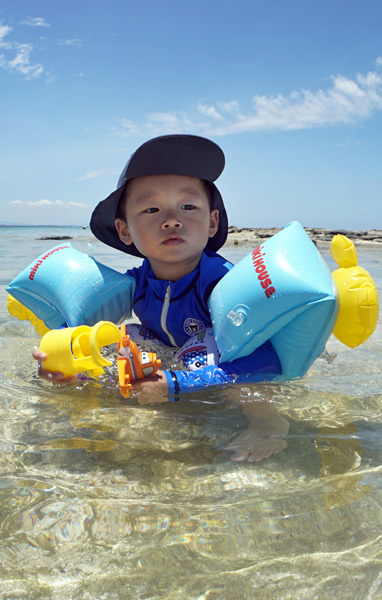 we cater for family groups of all sizes and ages. 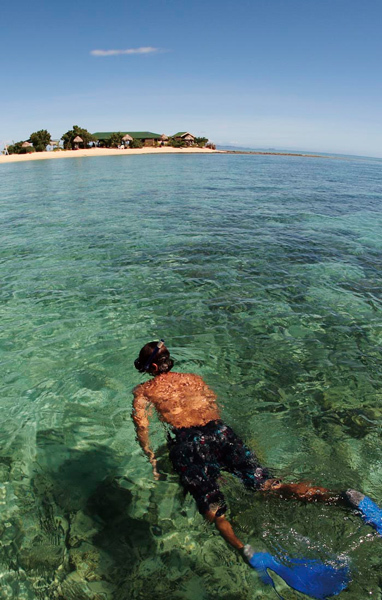 Half-day snorkelling trips available for groups under 35pax. 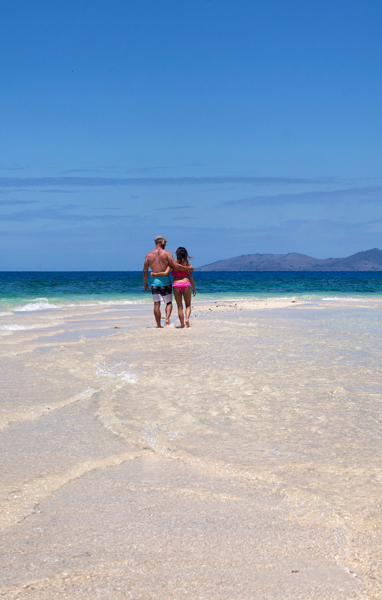 Private charter MV Oolala for your wedding group and cruise to your own private island for a boutique ceremony. 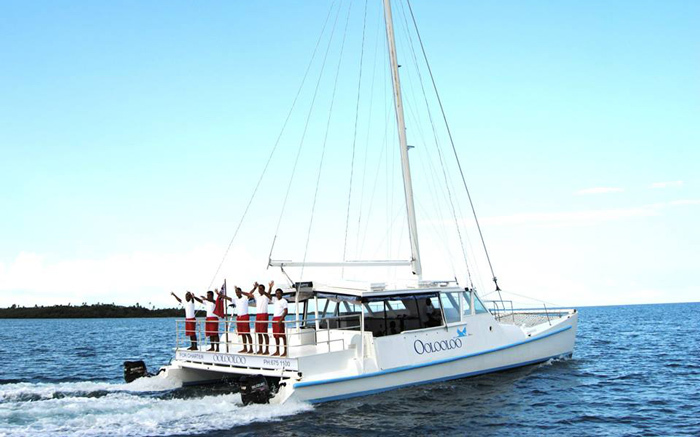 Private charter catamaran Oolooloo for the two of you and enjoy a private return cruise out to Savala Island to join other day cruise guests for the day. 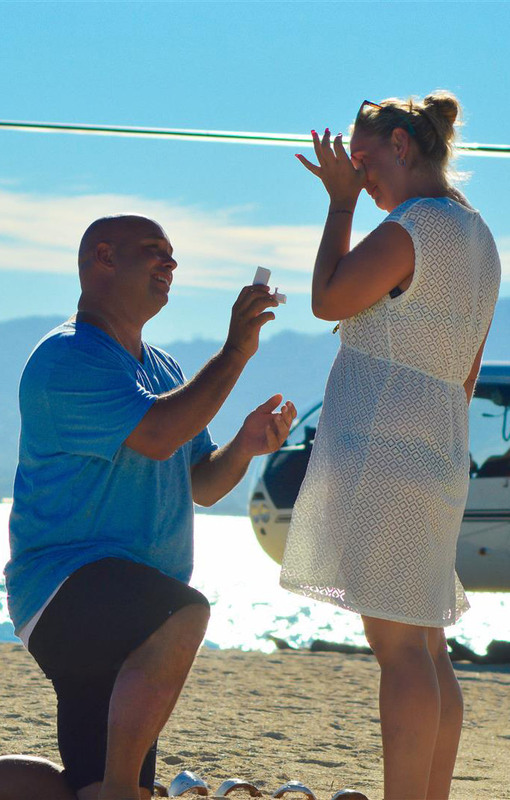 Surprise your loved one and cruise or fly (helicopter) to the uninhabited Savala Island for an amazing proposal. 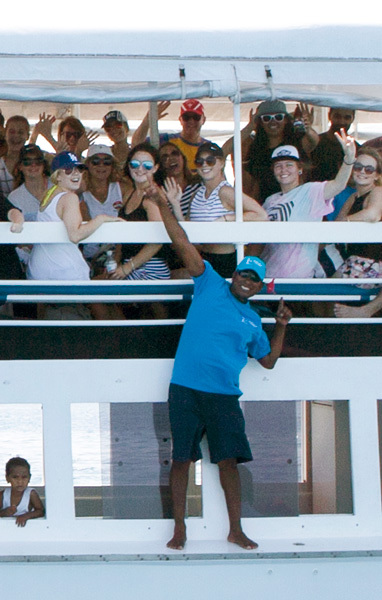 join the day cruise or private charter for your group or company to enjoy for the day. MV Oolala is a 60ft, two level motor vessel with plenty of comfortable bench seating and capacity for 65 people. The vessel also features a kitchen/bar serving area and separate male and female flush toilets. 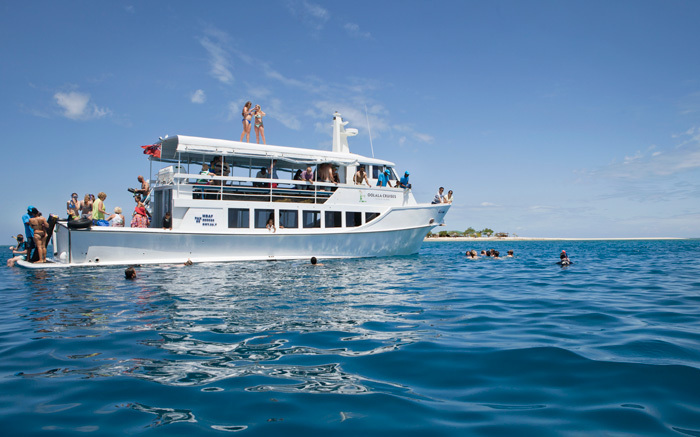 MV Oolooloo is a 49ft catamaran with plenty of deck space to cater for up to 35 people. The vessel features a food/beverage serving area and also separate male and female flush toilets.